Here is a good news for all the budget phone lovers. HMD Global owned Nokia 150 Dual SIM feature phone is now available for purchase at Rs 2,059 via the two leading e-commerce platforms, Flipkart and Amazon in India. 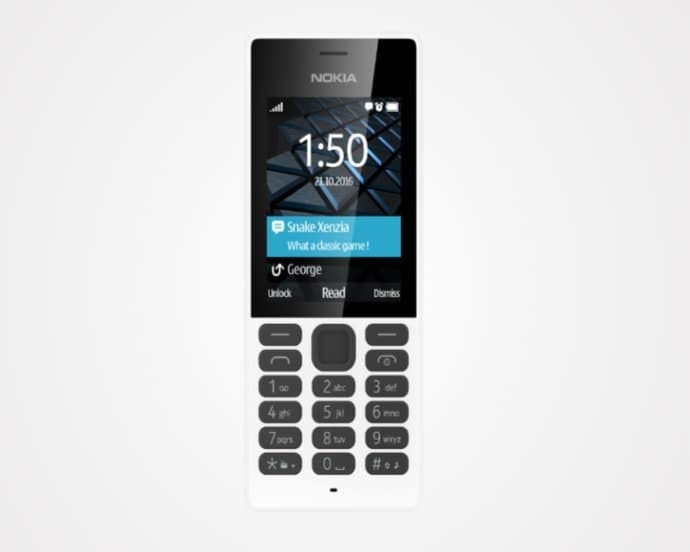 The handset was announced by the HMD Global back in December 2016 after it entered into an exclusive 10-year partnership with Nokia. The company promised to make the handset available by the first quarter of 2017 in both single and dual-SIM variants but only the dual sim version is up for sale as of now. The new Nokia 150 retains its traditional pattern and comes in a strong polycarbonate body with scratch-resistant color. Measuring 118.0x50.2x13.5mm and weighing 81.0 grams (including the battery) it sports a 2.4-inch QVGA (240x320 pixels) display, T9 keyboard with D-pad and other buttons on the top. There is 4MB of RAM and another 4MB of onboard storage which can be further expanded up to 32GB via the microSD card. The device runs Nokia's Series 30+ operating system and comes pre-loaded with games like Snake Xenzia and a trial version of Gameloft's Nitro Racing. Photography lovers won't be disappointed either as the Nokia 150 features a VGA (0.3 megapixels) camera accompanied by a LED flash at the rear. Sadly there is no front shooter for the selfie enthusiasts. The device gets all its juice from the Nokia's 1020 mAh BL-5C battery that promises up to 22 hours of talk time and standby time of up to 31days on the single SIM model and 25 days on the dual SIM model. 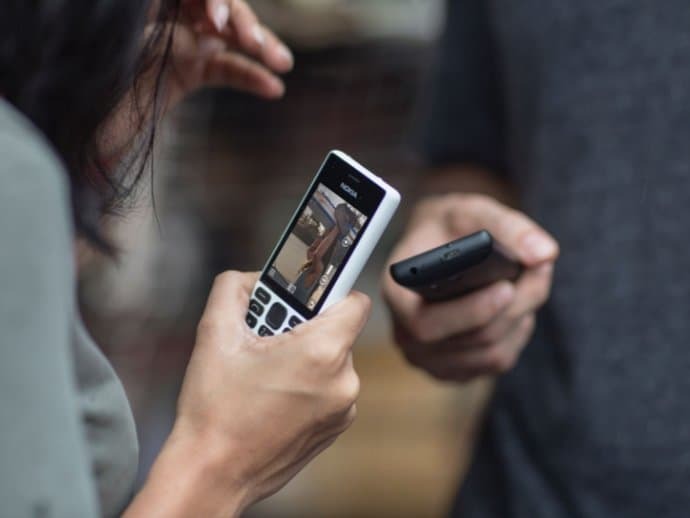 For the connectivity and entertainment, the device gets a 2.5G network support, Bluetooth 3.0 with Nokia's SLAM feature, micro USB, 3.5mm AV connector, MP3 player and FM radio. The Nokia 150 Dual SIM is available in both Black and White color options on Flipkart while only the black variant is listed on Amazon.